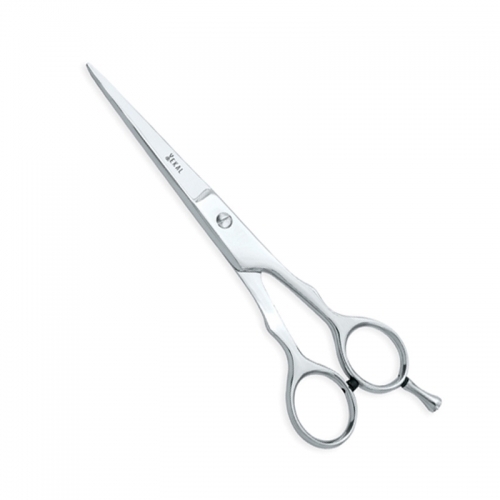 Standard barber scissors made with special quality stainless steel, adjustable screw for setting the required cutting actions. 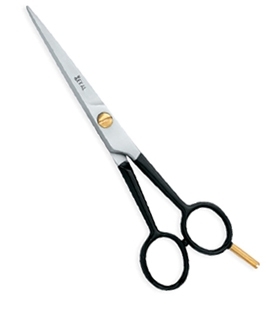 Professional barber hair dressing scissor with convex edge, hollow ground, triple hand honed, razor blade, adjustable screw micro serrated one blade, with silencer, remove able finer rings (black), excellent for cutting and shaping hairs, Comfortable, soft finger rings for an excellent grip. 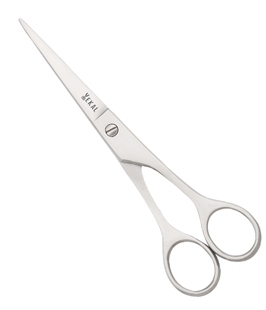 This professional tool is extremely sharp and highly suitable for slice-cutting. 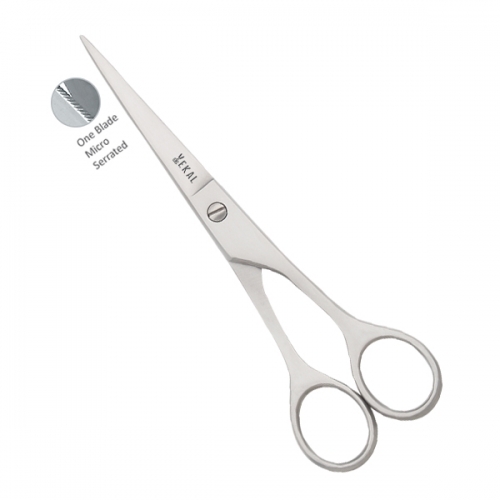 Ekal Professional is manufacturer and exporters of quality Hairdressing scissors carries a wide selection of barber and hair scissors, along with thinning and texturizing scissors ideal for any type of hair application. 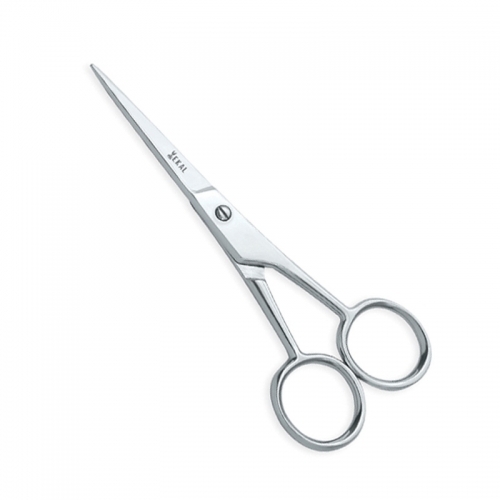 Search our excellent array of Professional barber scissors. 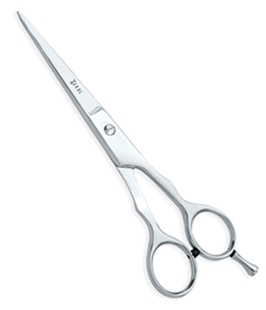 We are sure that you will find the ultimate pair of hair scissors to suit your needs. 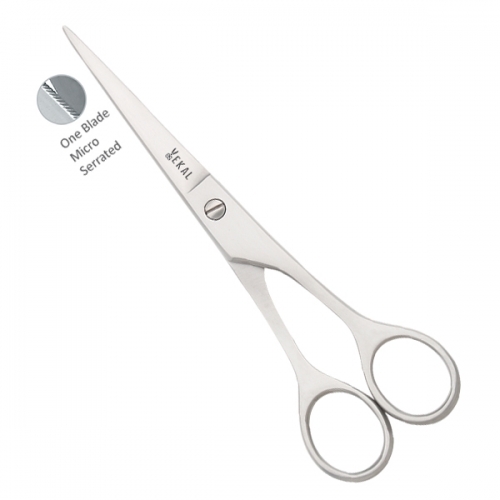 Made from selected steel and crafted to perfection for smooth operation and sharpness with one blade micro serrated, No finger rest, This is ideal model for people looking for Economic Scissors with smaller blades. 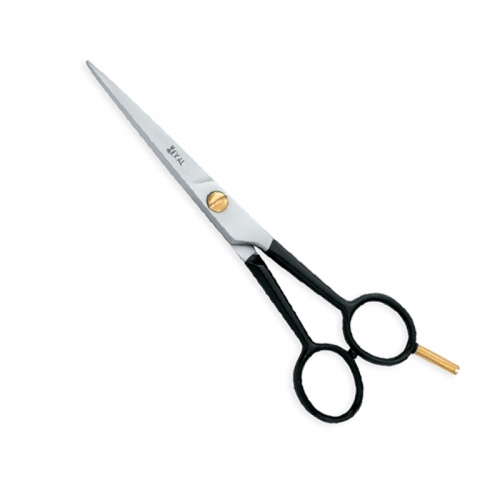 Made from selected steel and crafted to perfection for smooth operation and sharpness with one blade micro serrated, Brass removable finger rest and painted handles. 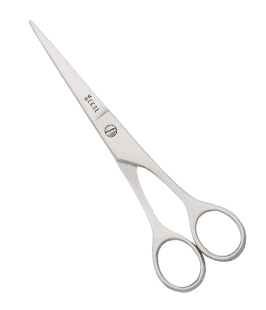 Sizes: Select Sizes 6" 7" 6.5"
Sizes: Select Sizes 4.5" 5.5" 6.5" 7.5"